in the journal Environmental Health and linked the flame retardant to an increased risk of Hashimoto’s thyroiditis, goiter, hyperthyroidism and hypothyroidism. The specific flame retardant is called polybrominated diphenyl ethers (PBDEs) and is found in the blood of every American. Here is a sobering quote from the study’s lead researcher: “These chemicals are just about everywhere, from the blood in polar bears to eagles to humans on every continent. This near ubiquitous exposure means we are all part of a global experiment on the impact of endocrine disrupting chemicals on our bodies.” Endocrine disrupting chemicals are those that interfere with natural hormones produced by the body. Flame retardants seem to have a particularly harmful effect on the thyroid gland. 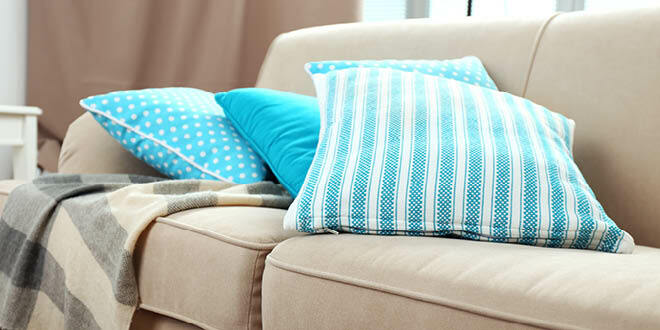 The specific flame retardants called PBDEs have been used for decades, mostly in furniture, in quantities up to 20 percent of the weight of the item! Over time, the chemicals migrate out of the furniture into the air, and eventually settle into dust in homes, offices and schools. They also accumulate in every person’s body. Earlier research has proven that these chemicals accumulate in fatty deposits of the body and interfere with hormone functions. There really isn’t a lot you can do to minimise your exposure to these chemicals. The best strategy is making sure your liver’s detoxification capabilities are working as well as possible. Your liver attempts to remove foreign chemicals from your body. If you look after your liver by eating well and taking a liver tonic, you can improve your body’s detox abilities. It is also important to provide your thyroid gland with the nutrients it requires to stay healthy. People who have sub-optimal levels of iodine, selenium and vitamin D in their bodies are more susceptible to all the thyroid conditions listed above.